With Thanksgiving approaching, it’s a good time to teach children how to establish a tradition of doing small acts of kindness. Susan Johnston, professor of special education at the U, created a book to do just that. 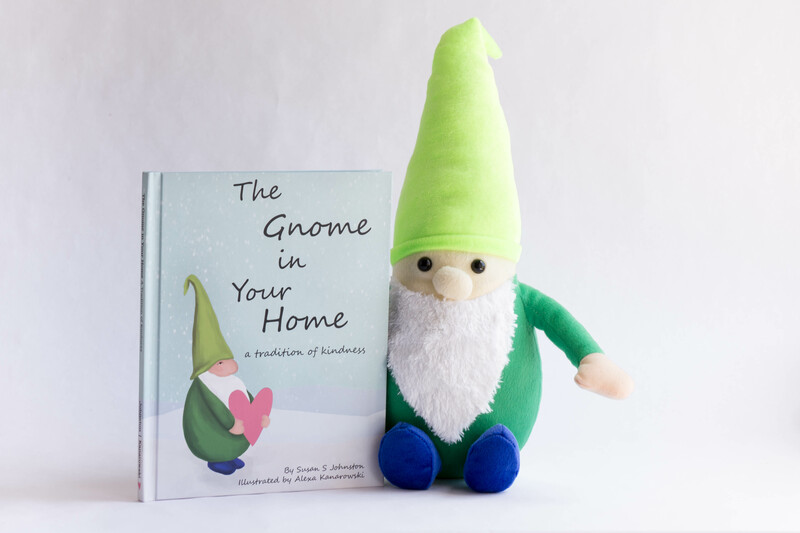 “The Gnome in Your Home – A Tradition of Kindness” is an illustrated children’s book and plush toy inspired by Johnston’s own family’s experiences as well as her professional work. The rhyming children’s book features a group of gnomes who, due to their small size and lack of magical skills, question if they can make a difference. As the story progresses, the gnomes discover they have a valuable gift – a gift for kindness. 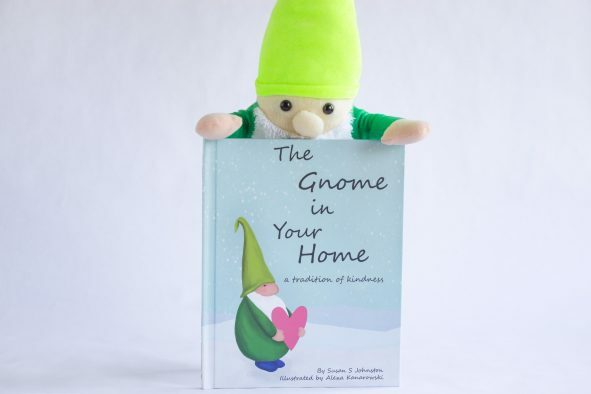 Based on this discovery and the realization that small acts of kindness can change the world, the gnomes make a plan to visit homes in order to teach children (and adults) how easy and fun it is to develop a tradition of daily acts of kindness. “In my professional life, I focus on developing and implementing evidence based practices that make a difference in the areas of positive behaviors, communication and social interaction. Concerns regarding instances of violence and bullying in schools made me want to develop a fun and interactive way to develop young children’s skills related to kindness and positive behaviors,” added Johnston. In addition to the story, the book contains four removable pages filled with acts of kindness cards. Each card contains an idea for an act of kindness. There are also several blank cards, so families can create their own. A plush gnome accompanies each book. Each evening, caregivers or parents simply choose an act of kindness card and place it in the gnome’s lap. When the gnome is discovered in the morning, families can plan and discuss that day’s act of kindness. Johnston’s book and personal experiences are supported by research on kindness. Specifically, researchers have found that kindness breeds more kindness, kindness reduces stress, kindness can be taught, being kind can make kids more accepting of others and socially accepted themselves and performing acts of kindness can increase a child’s happiness.